Panda and Penguin are dear friends, but there’s a problem. Penguin has the worst sense of direction of any bird on the planet. It’s up to you to travel the globe alongside them and bring them back together when they inevitably get lost. Just draw lines that help them slide back to each others’ side! 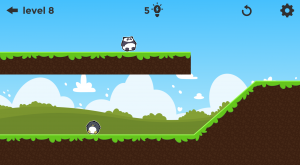 Panda and Penguin’s Puzzle Adventure is a 2D physics puzzle game with over 50 brain-teasing levels, a collection of unlockable postcards, and more in the works to be released as 2018 continues. We hope you enjoy it! 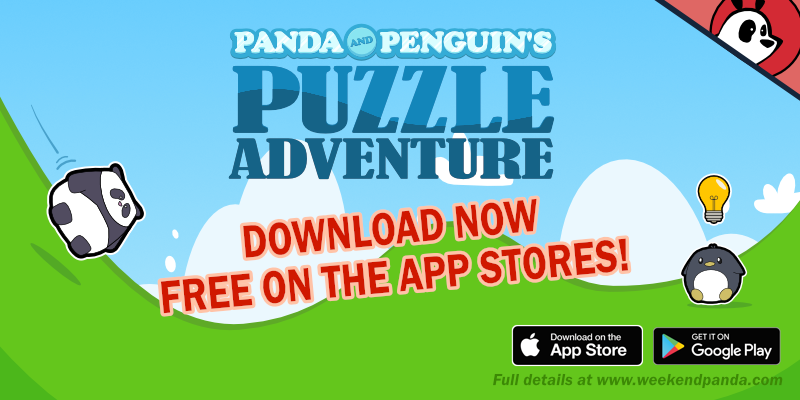 Panda and Penguin’s Puzzle Adventure is available now on both the Apple App Store and Google Play stores. Want to be notified about future game updates? Sign up here for the Weekend Panda newsletter!